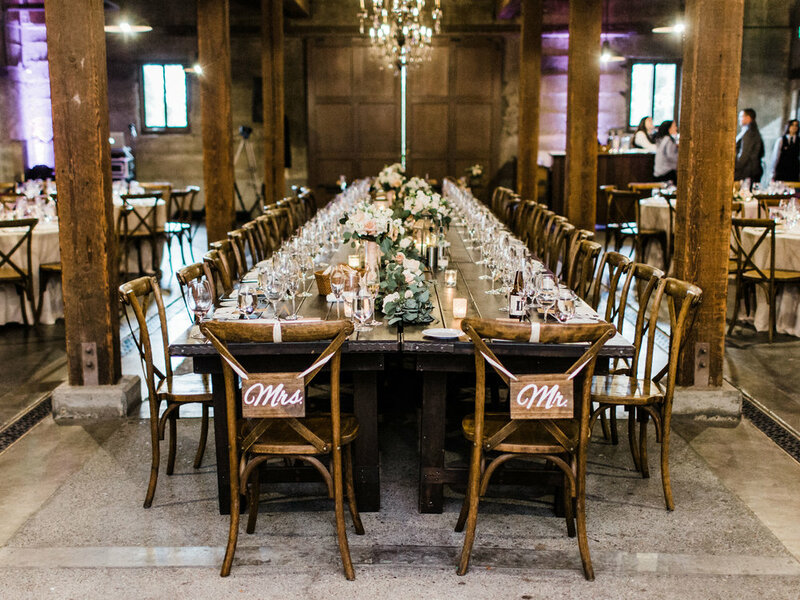 The perfect combination of rustic, elegant, and beauty. 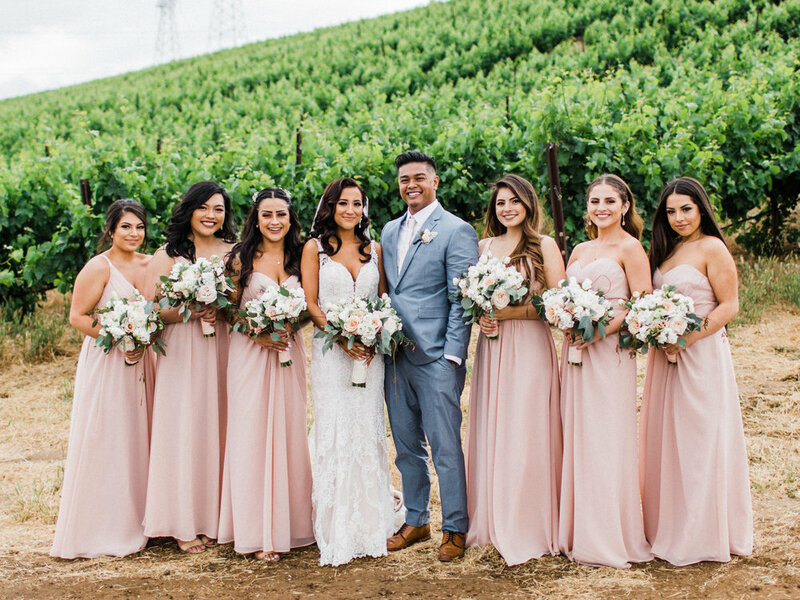 Murrieta’s Well is a gorgeous winery in Livermore, California that provides a stunning venue with rustic old fashioned vibes while still being gorgeous in every last detail. 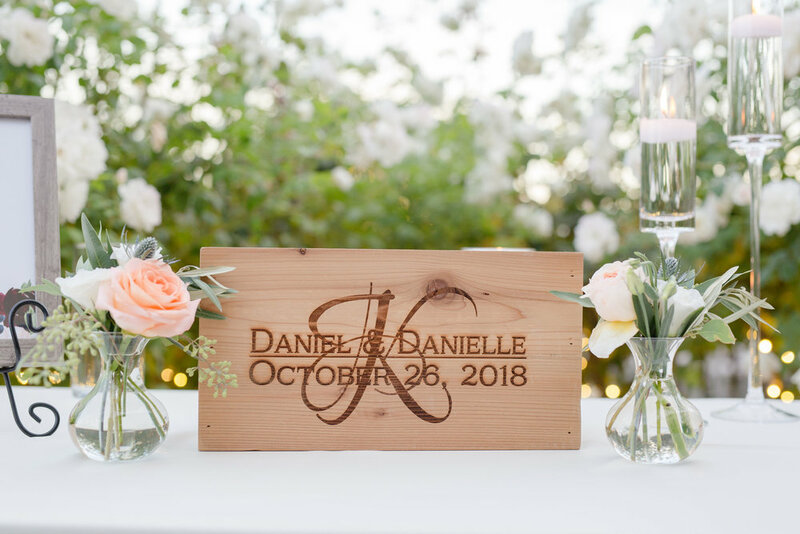 On top of the welcome sign, we placed a gorgeous dark green eucalyptus garland. 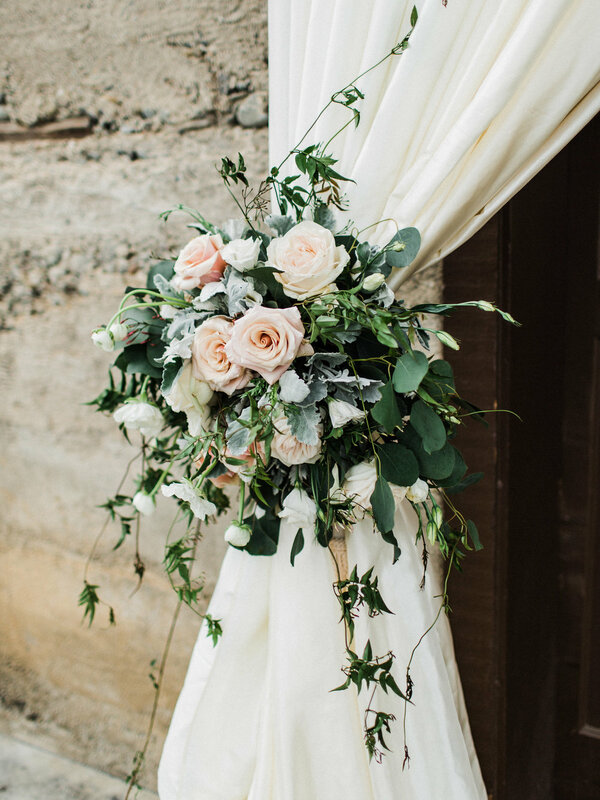 The bride’s bouquet was arranged using mother of pearl, blush garden rose, and white ranunclus, with lots of movement with the greenery. 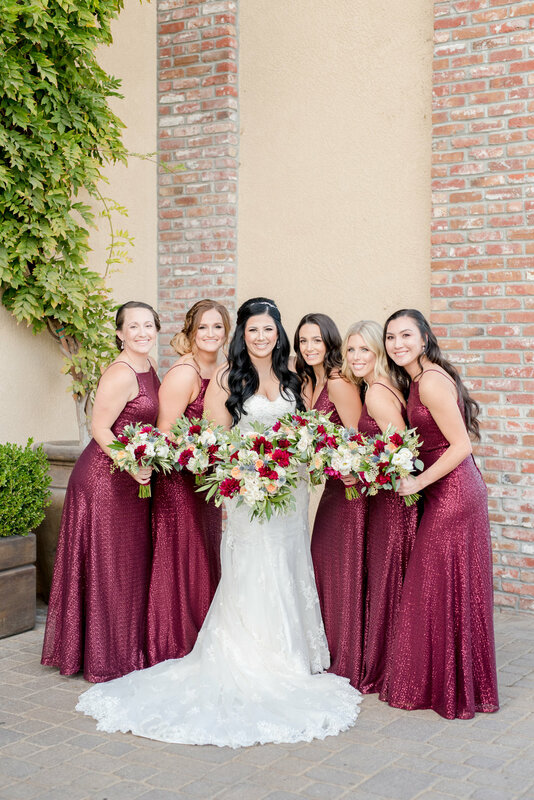 The bridesmaid bouquets were smaller, more controlled style than the bride’s, using all the same bridal flowers. The groom’s boutonniere was a off-white tea rose with hints of dusty miller. At the altar, we placed two floral tie-backs on the drapery. These were arranged using blush garden rose, white ranunclus, and lots of dusty miller and eucalyptus. 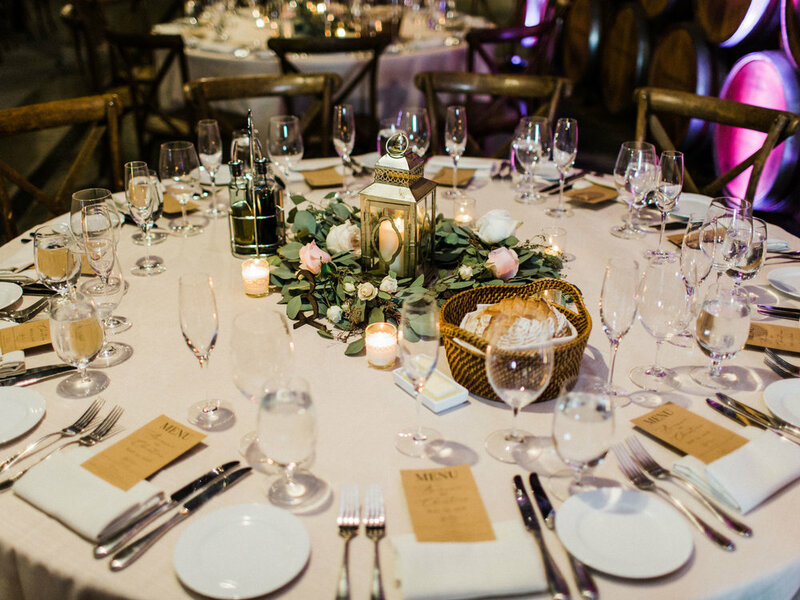 The pews had hanging jar arrangements filled with blush and white florals. The aisle was also doused in white and blush rose petals. 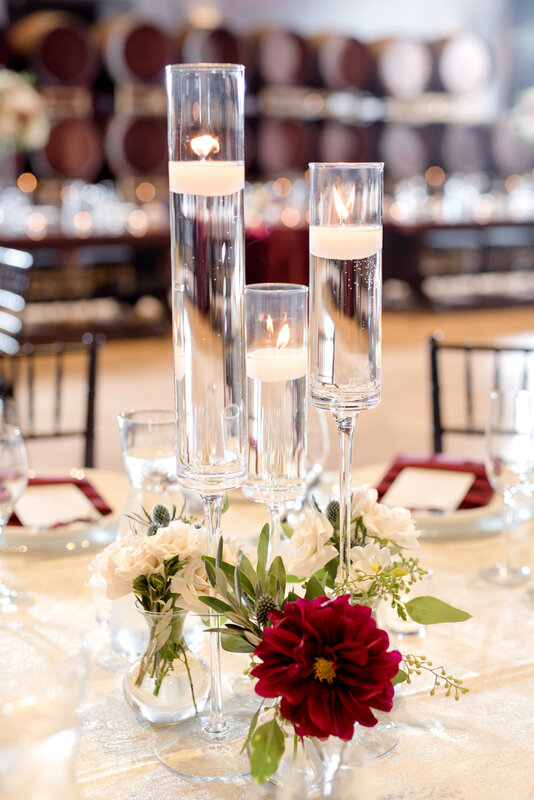 For the centerpieces at the reception, we placed eucalyptus garlands with tucked in roses around a candle lit lantern. 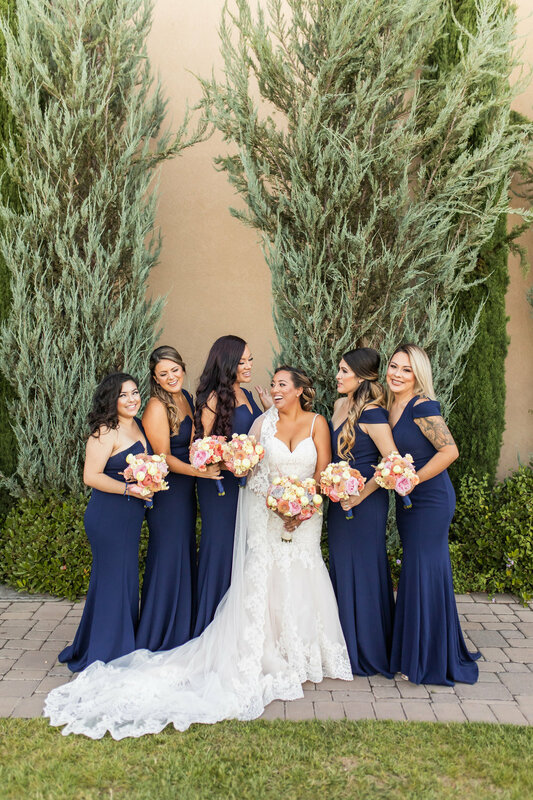 At the head table, we placed a 36 foot garland with tucked in blush and white roses, as well as bridal vases to display all of the bridal parties bouquets. Lastly, we topped off the beautiful wedding cake with blush roses and hints of greenery.